The Aston Origin is a high-performance cardioid condenser microphone that sets a new benchmark for studio microphones in this price ran.. The Aston Origin is a high-performance cardioid condenser microphone that sets a new benchmark for studio microphones in this price range. Aston approached designing the Aston Origin microphone in a whole new way. The philosophy was to see the microphone as an instrument in itself; not just a means to an end. With this mindset, Aston consulted with top audio professionals and put in their own incredible work ethic and attention to detail. As a result, the Aston Origin performers far above and beyond what is expected from microphones in their class. Nominated and winning several awards such as the FutureMusic Platinum Award, Aston Microphones have definitely raised the bar. Not content to simply put their own take on an existing concept, Aston microphones literally started from scratch when designing the Aston Origin, analysing every aspect of microphone creation. With an aim to create the perfect microphone, Aston consulted a panel of world class music industry professionals. This panel included record producers who have worked with top artists such as David Bowie, George Michael, Foo Fighters and Pixies. Each stage of the development of the Aston Origin saw Aston conducting double blind tests with various members of their expert panel. Eliminating hundreds of designs with listening tests that compare the differences between market leading microphones at each price bracket using both male and female vocals as well as an assortment of instruments, Aston developed the Aston Origin condenser microphone. The fruits of their labour being the expert panel’s favourite microphone, delivering an incredible audio capturing experience performing well beyond its price point. The Aston Origin was designed by British engineers with sound developed by top industry professionals and then made in the UK and the results are fantastic. Thinking outside of the box as always, Aston had an architect design the chassis. Aston Microphones are all about no-frills, top level performance and the Aston Origin delivers this in spades. The Aston Origin is a high-performance cardioid condenser microphone that is a product of 100% British research, development, design and manufacturing. Aston Origin microphones feature an isolated body which produces no handling noise and doesn’t even require a shock mount. Starting with its unique wave-form mesh head, the Aston Origins’ design not only looks stunning but offers great protection from bumps and knocks. This robust construction gives you peace of mind when going from studio to studio, or when you take the mic on tour. A mesh-knit pop filter is built into the wave-form head, helping remove any unwanted artefacts and removes the need for an additional pop filter and other accessories when recording vocals. The 1” gold evaporated capsule is encased inside a shock-resistant chassis, while offering additional off-axis rejection for a cleaner and more reliable signal. Unlike any other microphone, the Aston Origin has a custom moulded end cap with integrated XLR and stand adaptor. What’s more; since the internal shock absorption is so well designed, you can mount the Aston Origin directly to a stand via the built-in interchangeable thread adapter. Furthermore; each chassis is custom finished, there are no mass-produced paint jobs. Every Aston Origin chassis is individually tumbled for up to 4 hours, resulting in a hard-wearing, beautiful finish. 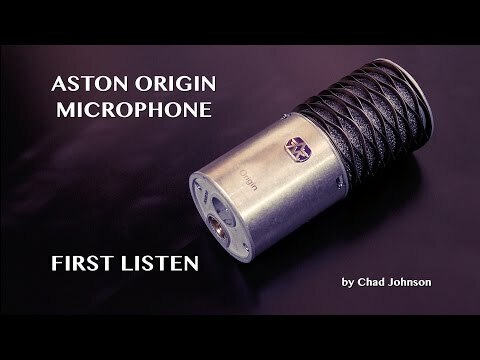 From their first introduction, the Aston Origin has received critical acclaim around the world with many industry professionals comparing the Origin to the highest end priced microphones on the market. Aston microphones are loved by some of the top names in the business. 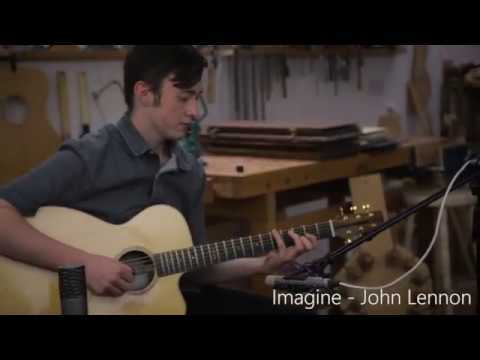 They have even been used by the likes of Muse, Radiohead, Coldplay and Disney. Noel Gallagher has also been quoted as saying “I f***ing love these mics!” while U2 recently completed a tour, relying on the Aston Origin! The Aston Origin was designed to deliver great results in an extremely tough microphone that’s perfect for keeping in the studio or taking on tour. In fact, the Aston Origin is so well made that Aston provide a 3 -year extended free replacement warranty on them should anything happen. Just join the Aston Owners Club by registering your purchase of the Aston Origin and you’re covered. Whether you’re recording vocals, guitars, drums or any other acoustic instrument, the Aston Origin offers professional level performance at a price you won’t believe. Buy the Aston Origin microphone from PMT Online today and be amazed.